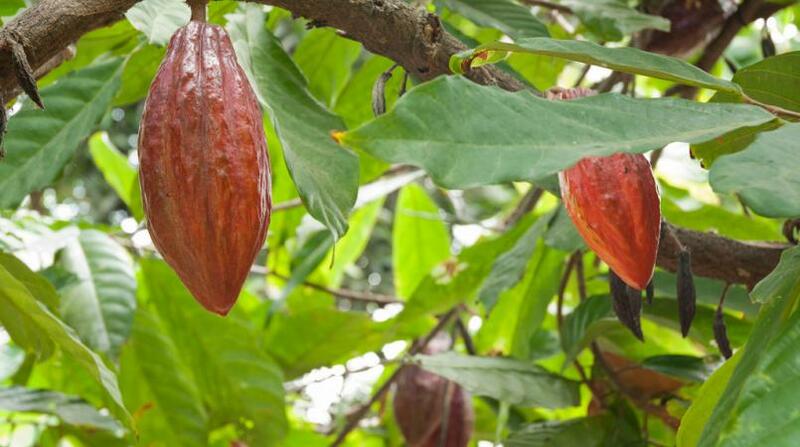 The Monsterrat Cocoa Farmers’ Co-operative Society Limited (MCFCSL) has filed a Geographical Indication (GI) application for cocoa beans originating in the Monsterrat Hills, Gran Couva. This is the first GI application for cocoa in CARICOM. Trinitario cocoa has an international reputation as a fine-flavoured cocoa and is coveted worldwide by renowned chocolatiers. According to the World Intellectual Property Organization (WIPO) a GI is a mark used to identify a good coming from a specific geographical area with a unique reputation or characteristic which is essentially attributable to the geographical area. Some well-known examples of GIs include Champagne, Darjeeling tea, Scotch Whiskey and Roquefort cheese. These names are recognisable throughout the world has having originated from a particular geographical area and thus, have a certain quality, reputation or characteristic that is attributable to the area. The registration of a GI provides for significant benefits. GIs not only attract a higher price premium in the local, regional and international markets but also contribute to country branding and enhancement of a country’s reputation. GIs also promote and enhance rural development, local culture and traditions. As much, Trinidad and Tobago stands to benefit substantially from the registration of GIs. The Ministry of the Attorney General and Legal Affairs’ Intellectual Property Office of Trinidad and Tobago (TTIPO) has been working closely with the MCFCSL though Olive Mamchand, Senior Partner, Fitzwilliam Stone Furness-Smith & Morgan to facilitate the filing of the first Geographical Indication application in Trinidad and Tobago under the Geographical Indications Act, Chap 82:78. Recognising the significant benefits of GIs, the IPO has been actively engaging representatives from the local cocoa, honey and pepper industries. The IPO recently hosted a One Day workshop on GIs on 9 February. The objective of the Workshop was to sensitise various stakeholders on GIs and to raise awareness of the various types of intellectual property protection for their products. Participants included representatives of the Ministry of Agriculture, MCFCSL, Trinidad and Tobago Beekeeper’s Association, Cocoa Research Centre (UWI), Carmel Valley Estate, Vista Dora Estate, Ortinola Estate, All Trinidad and Tobago Apicultural Co-operative Society Limited and Westland for Green. This Workshop was a precursor to the WIPO/IDB-REACH Workshop on Optimizing the Competitiveness of Geographical Indications (GIs) and Origin-Linked Products (OLPs) for Caribbean Community (CARICOM) Countries which was held on 14 – 16 February at the UWI, St Augustine. This Workshop included international experts on GIs who provided pertinent information on the international systems of protection for GIs. The IPO is optimistic that the first GI application for cocoa beans in Trinidad and Tobago and the English-speaking Caribbean, will pave the road for other GI applications in the near future. The Office says it remains committed to assisting applicants in this regard.